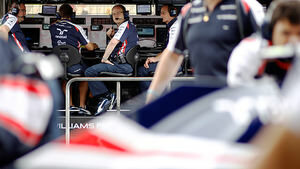 The Williams team is one that is looked upon fondly both in and outside of the paddock. Family run, with Frank and Claire Williams leading the way, the team have had many successes in their lengthy F1 history, but have struggled in recent years. A raft of changes for the sport and for the team ahead of 2014 had a huge impact, allowing them to move up to third in the championship and rival for poles and podiums. Frank Williams founded the eponymous Frank Williams Racing Cars team in the 1960s, having a reasonably successful first season with driver Piers Courage, but not securing a win. They would not see victory at any of the races during their time in F1, and after some sponsor swapping, any results started to tail off. The team were bought by millionaire Walter Wolf, and after a difficult season, Williams left the team to set up on his own again. Williams F1 was born, with Patrick Head on board to engineer the car. In 1977, they made their debut, but it took a few seasons before they started winning. With Alan Jones, they managed two constructor’s titles and a driver’s championship in 1980. They were back on winning from towards the end of the ‘80s, with Nelson Piquet and Nigel Mansell, and again in the 1990s with Damon Hill and Jacques Villeneuve. Their last constructor’s championship came in 1997, and after that the results gradually began to diminish, with 2011 being the worst season in their history. A corner was briefly turn in 2012, including a surprise victory for Pastor Maldonado at the Spanish Grand Prix that year. Unfortunately, the performance dropped off again in 2013, leaving the team with an awful lot of work to do to turn things around. With the newly installed Claire Williams as deputy team principal, 2014 looked a lot brighter for the team. 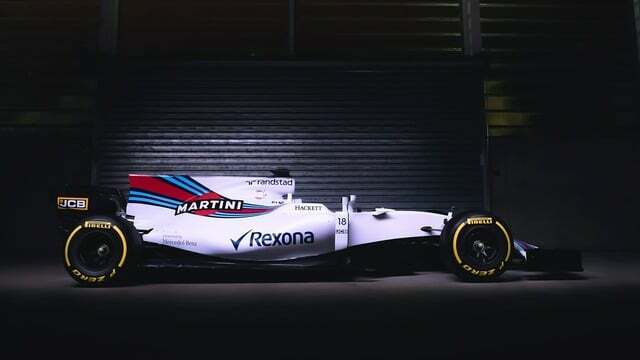 They had new title sponsors in Martini, and underwent a rebranding exercise. They brought Felipe Massa in from Ferrari, eager to unlock his expertise. A reshuffle behind the scenes bolstered the engineering department, and they made a timely switch from Renault engines to Mercedes power. The results were stark and intimidating for everyone to behold. From such disappointing results, the drivers found themselves routinely at the sharp end of the grid, with Felipe Massa securing pole position at one race, and fighting for victory in Brazil. Valtteri Bottas also finished on the podium on several occasions. Having made such sweeping changes for the year, and seeing the hard work pay off, Williams opted for a more stable consistency in 2015 and 2016, keeping both drivers on board. They managed one third place finish in 2016, but it wasn't quite what the team had hoped it would be. They did shine in the pit stop department, completing some of the fastest times and slickest stops seen during the year, but it didn't stop them sliding to fifth place in the championship. At the end of the year, the team announced the departure of Pat Symonds from the technical department, and they also suffered the loss of Valtteri Bottas to Mercedes in January 2017. Recalling Felipe Massa from retirement, and promoting Lance Stroll to full race driver, the team hope to get back to more frequent podium appearances in 2017. Learn more about Williams with the Pocket F1 Handbook. If we just look at the cars from the front only, we'll all be fine. 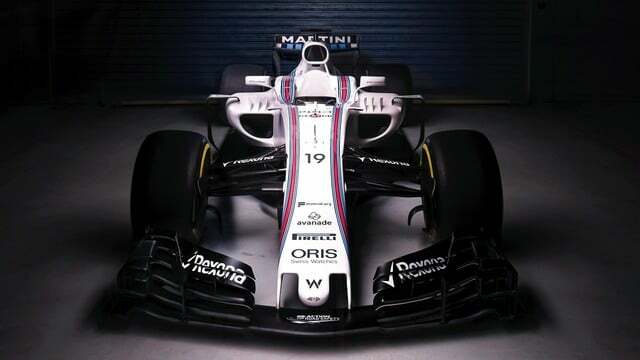 It looks like originally the plan was to involve the pop-up destination in the paddock, as when the Martini-Williams tie up was announced they said it would be "the new WILLIAMS MARTINI RACING motorhome in the paddock, featuring the MARTINI Terrazza™ – a stylish rooftop destination." Rooftop, beachfront, who's quibbling?